The last couple days have been busy as VMware has released updates for Virtual Appliances that are have the shellshock vulnerability. Based on the VMware Security Advisory, SRM 5.5 itself does not have the vulnerability but because it is bundled with VR, SRM has to be updated as well. I did not see SRM 5.8 on the list but I did see VR 5.8. 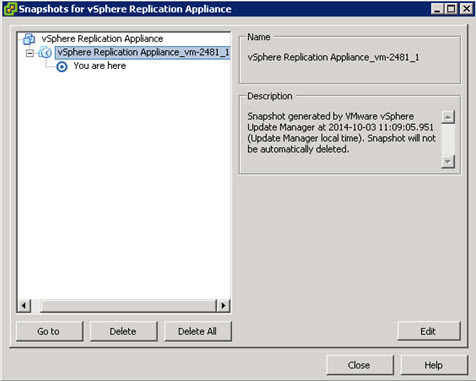 I haven’t installed the new SRM so my guess is that SRM 5.8 does not bundle the VR appliance. 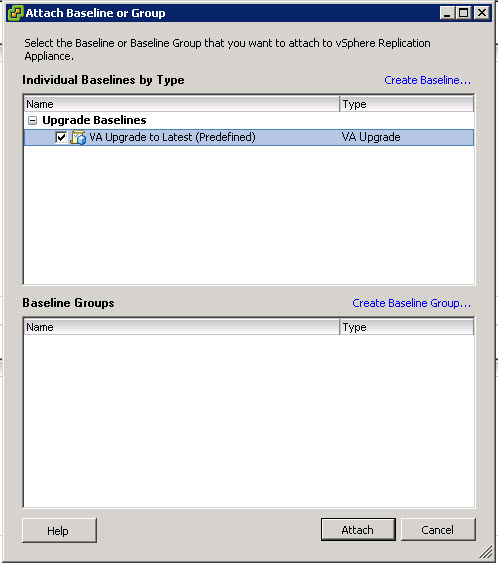 I won’t get into the SRM update, the VMware article is here. Please note that you have to update SRM prior to updating VR. I think that SRM upgrade process (especially for the VR bits) is a bit overkill. You basically re-install SRM in it entirety. Not a terribly difficult process, but you have to accept the new SSL certs (if regenerating) and you need to remember to re-connect the sites in the plug-in (I glossed over the last step in the article, RTFM would have saved me half an hour). #1 seemed really straight forward, while #2 and #3 intrigued me. I looked at #2 but I was concerned that I wouldn’t be able to get through the firewall so I decided to go with #3 which is to use Update Manager. 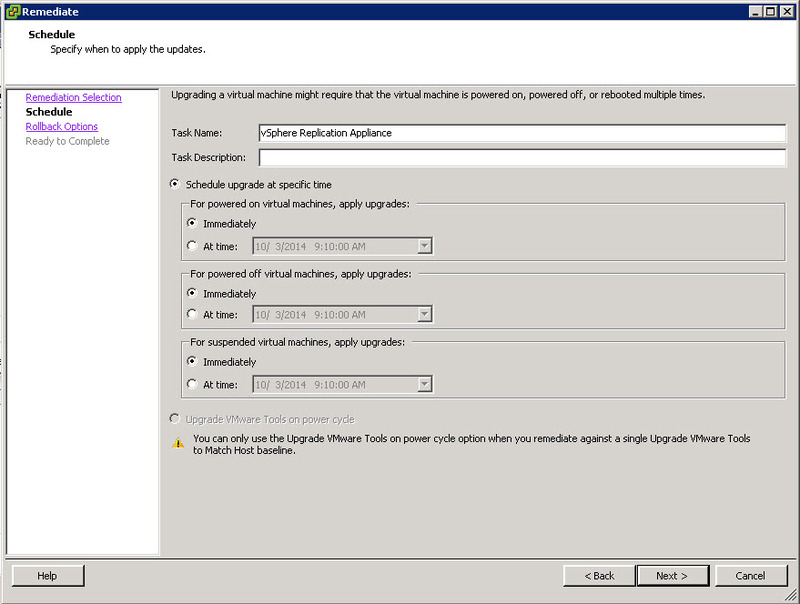 I was kind of excited to use Update Manager for an Virtual Appliance, I have used it for hosts quite a bit but never for an appliance. You should now see the compliance pie-chart say “92%” instead of 100%. I’m not sure how it calculates this, possibly it’s incorrectly looking at how many of the patches in the baseline are required and divides that by the total number of patches in the baseline (regardless if those patches apply or not). 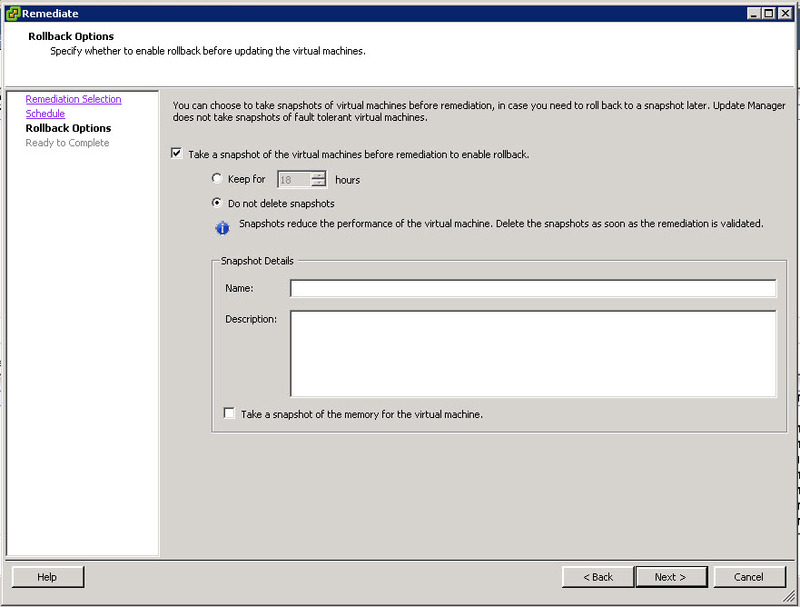 You can have Update Manager take a snapshot before remediating (nice option). For my first appliance I used this feature but I turned it off later once I felt that the process wasn’t bricking VR. 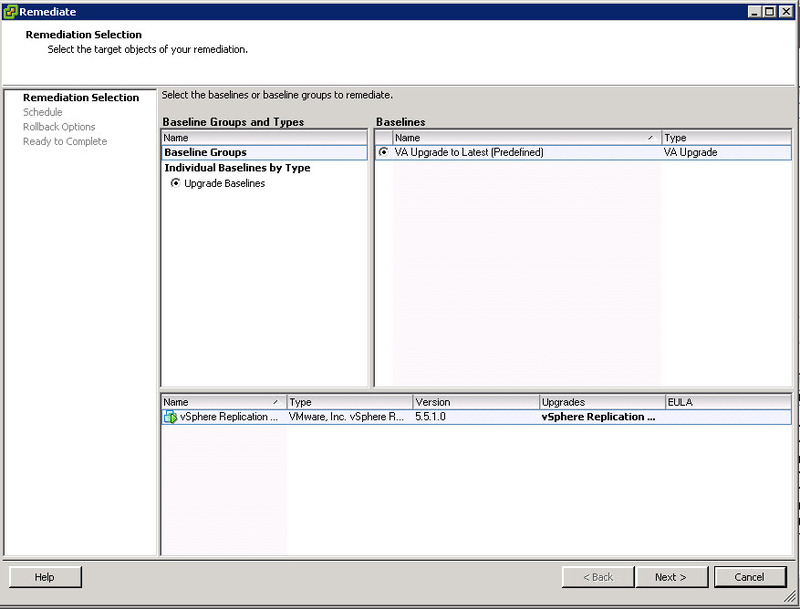 You will see an Update Manager task showing the completion percentage. This screenshot was from my lab environment after the VR update. For SRM, it seems to take a little time for the VR appliances to show back up in the list and to show as connected on both sites. In my lab, I saw one side was up while the other side showed disconnected. At that point I re-configured the VR Connection. In SRM both sites started to look good. After logging out of the web client and logging back in, that looked good as well. 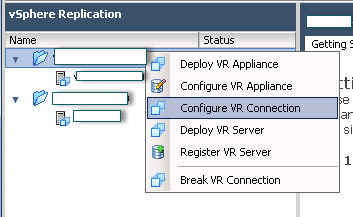 Note that this screenshot was from prod environment, thus the two extra vcenters in the middle that DO NOT have the VR appliance installed. For prod I actually tried the “Break VR Connection” option and then “Configure VR Connection” option. I’m not sure if both were necessary because I didn’t logout of the web client in-between. 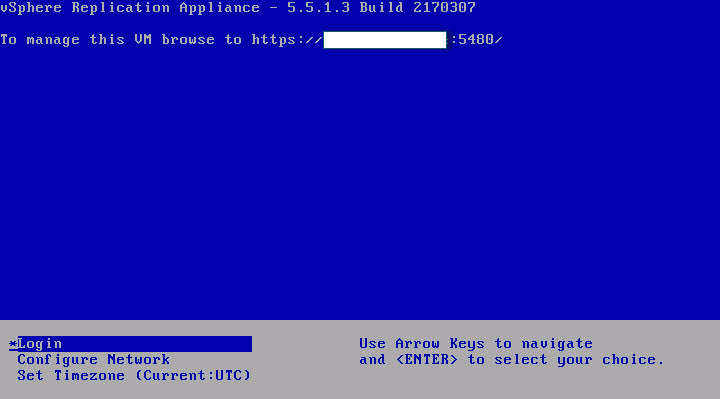 Using Update Manager to update appliances is pretty slick, but you don’t see it for every appliance. 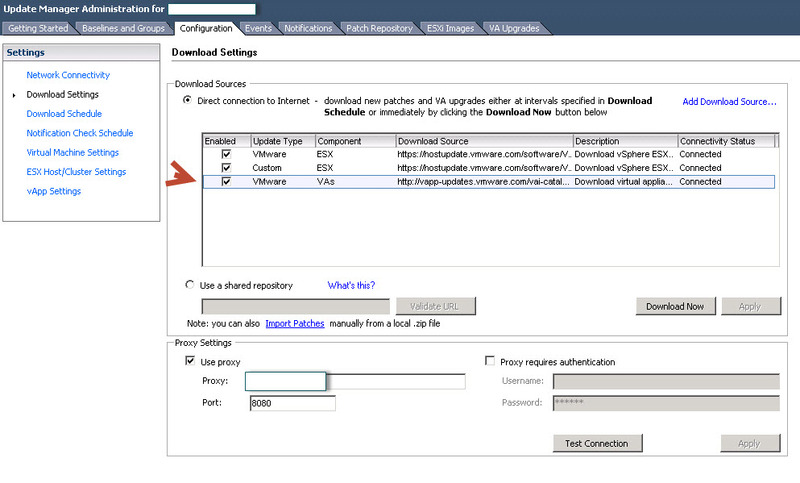 vCOPS and Log Insight require you to upload the PAK file via the web console (which is pretty easy) and I believe the vMA has it’s own method as well. I’m hoping that VMware unifies it’s patching methodology, it’s interesting but also a pain to patch these appliances using different methods.